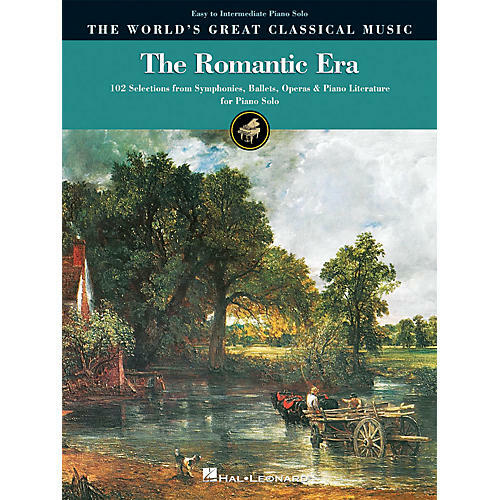 Features 102 selections drawn from rich 19th-century Romantic symphonies, ballets, operas and piano literature, arranged for beginning to intermediate-level players. Composers include Brahms, Bruckner, Chopin, Gounod, Grieg, Mahler, Mendelssohn, Schubert, Schumann, Tchaikovsky and others. Melodies are presented as faithful transcriptions in new, clean engravings. Includes capsule biographies of all of the composers represented. Also available for Intermediate to Advanced Piano Solo (00240096).